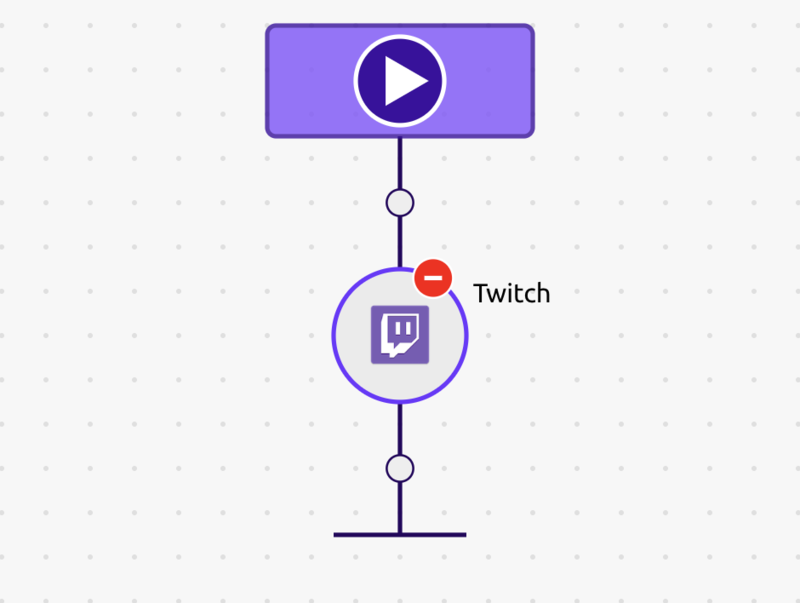 From gamers to musicians, streamers have garnered large audiences on the popular platform Twitch.tv. 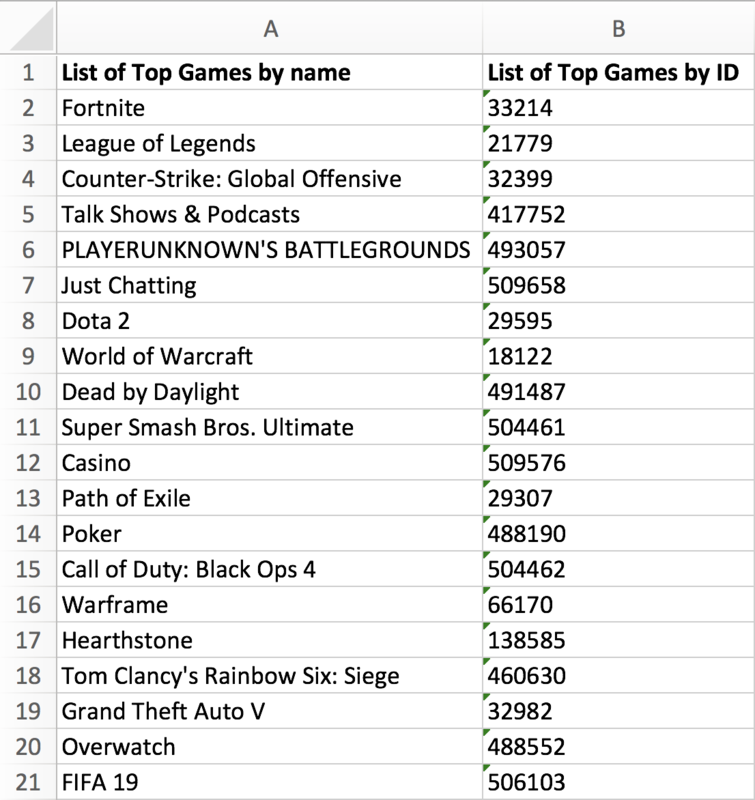 Acquiring datasets for rapidly changing information, such as the Top Current Games and Top Current Streamers, doesn't need to involve any coding knowledge. 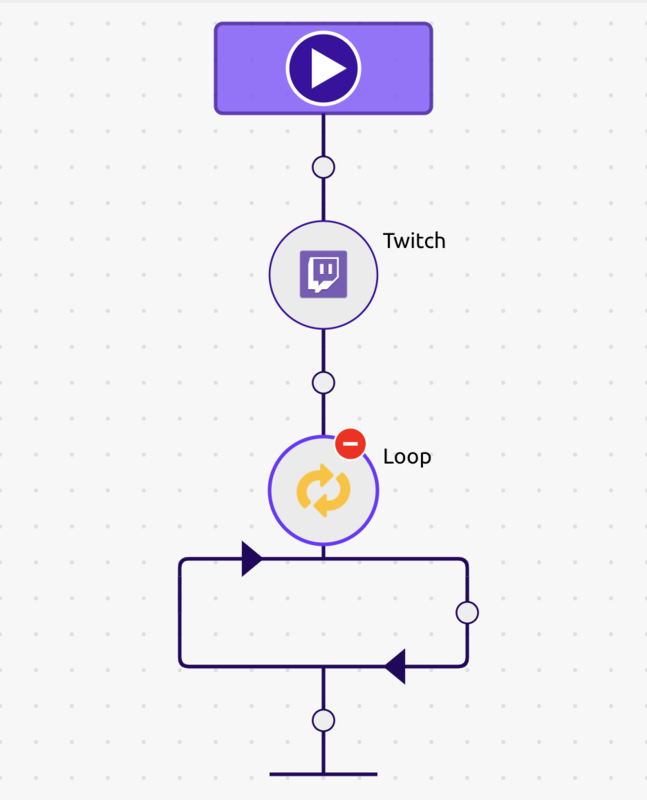 Simply use WayScript's visual programming language to build your own program to get the datasets you want for Twitch. Drag and drop the 'Twitch' Module into your recipe. For this example, I will set the 'Mode' to 'Get A List of the Current Top Streams'. However, feel free to change the mode based on the data you would like to collect. Some additional modes include getting a list of the top current games, a games name from its id, and a games id from its name. 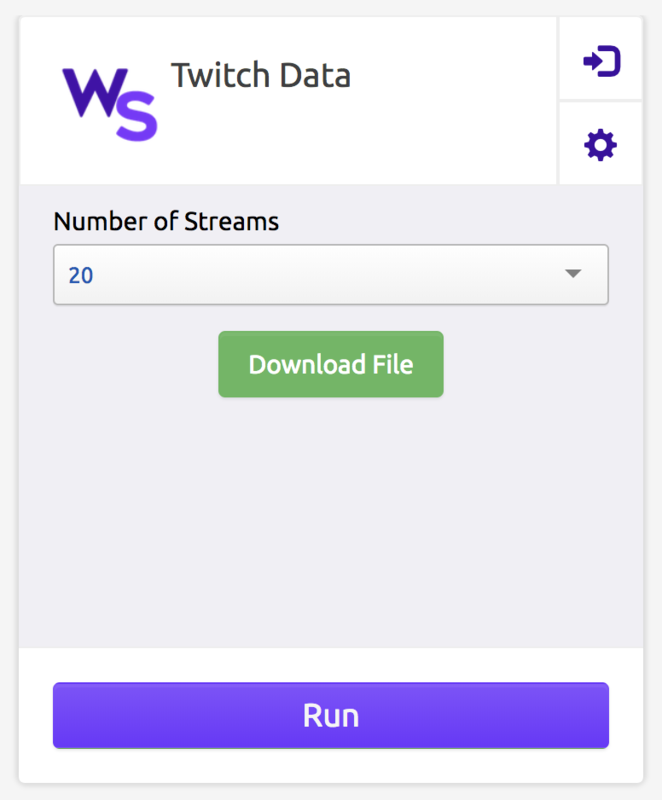 Since I will be obtaining a list of the current top streams, I will enter the number of streams I desire for this dataset. Based on the 'Mode' you select, you will have different outputs to choose from. 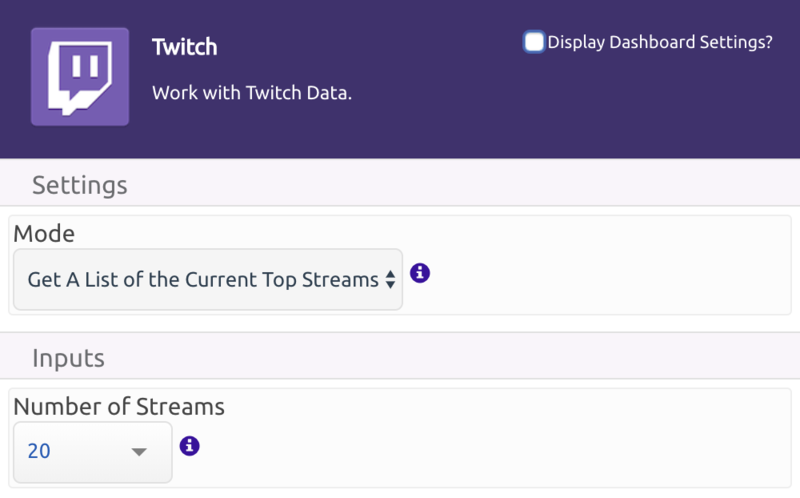 In this example, I will select to obtain a list of the current top streamers and their viewer counts. 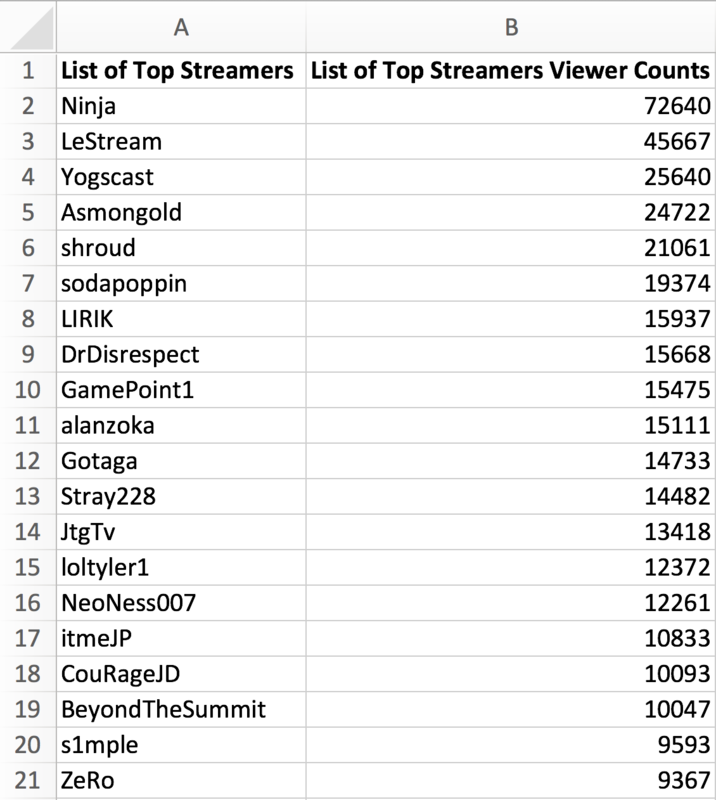 Since the current top streamers and their respective viewer counts are in lists, we want to loop over these variables and get their individual elements. Tick the boxes next to these lists in the 'Inputs' area in order to activate the Loop. Set the 'Mode' to 'Write File' and give a name to the file you want to write to. I will call the file 'TwitchData.xlsx'. You also have the option to add to the file or replace the file. If you would like your spreadsheet to aggregate past data from every time you ran your program, then select 'Add to File'. Otherwise, you can select 'Replace File' if you want a clean spreadsheet containing only the data you pull from the most recent run of the program. 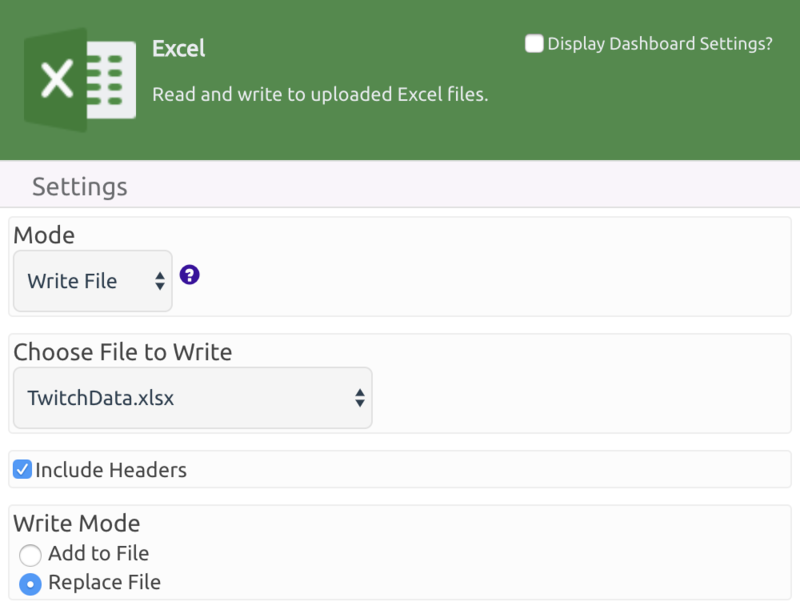 Now, select the data you want to be written to your excel file. 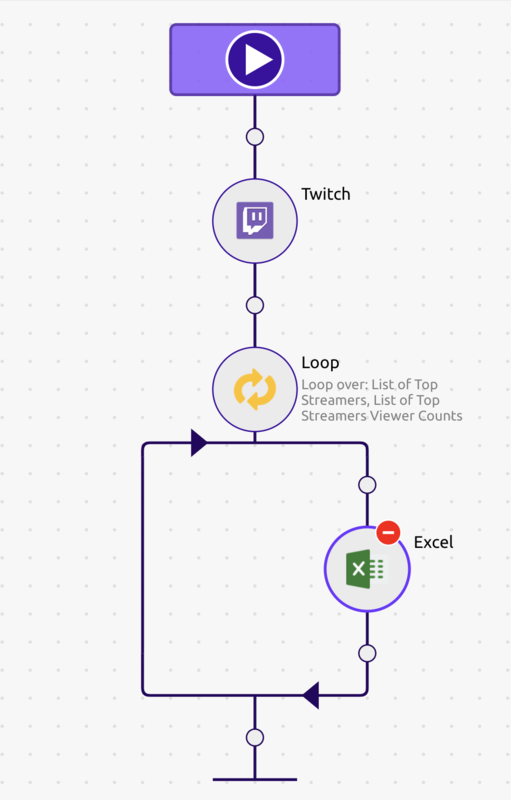 I will select the variables 'List of Top Streamers' and 'List of Top Streamers Viewer Counts'. Great Job! You have now completed your program, and you can choose to run it in the dashboard or straight from the recipe builder. Remember, you can always change your inputs, whether it's the number of top streams, number of top games, games id, etc. Your excel file will be available for you to download after you run your program.